How well did the Conservative government of Andrius Kubilius and the Social Democrat Government of Algirdas Butkevičius actually fare? What problems did the first cabinets since independence to last the whole term face and what pledges did they fail to accomplish? 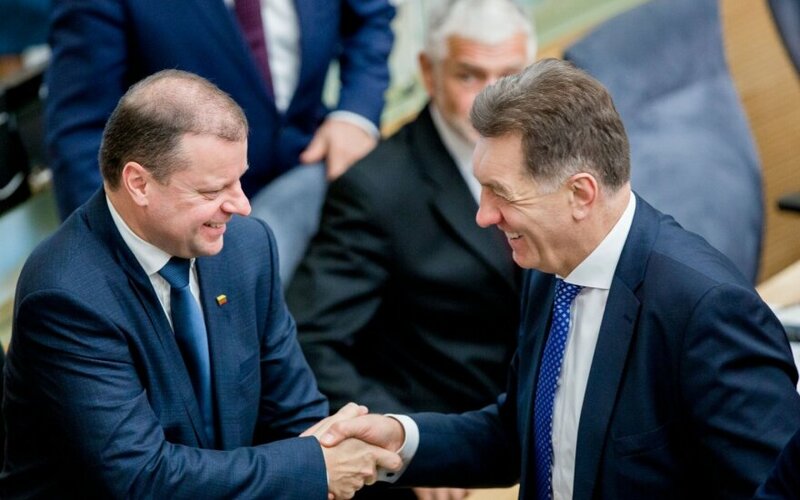 The Saulius Skvernelis cabinet which swore in today promises a great deal of changes in education, healthcare, social security and labour. What fundamental obstructions did the cabinets of Kubilius and Butkevičius face and what will the new cabinet of Saulius Skvernelis have to fix, all this discussed with economist Romas Lazutka and political scientist Algis Krupavičius. Economist, professor in the Vilnius University, Dr Romas Lazutka says that comparing the Andrius Kubilius and Algirdas Butkevičius cabinets is difficult – they operated during particularly different economic conditions. “The Kubilius government worked during a crisis period. Unlike many others, I believe that their tax reform was essentially justified though it should have been more systematic. Algirdas Butkevičius criticised Kubilius greatly from the opposition, but having come to power and formed a government changed very little. This is the sort of attitude that they didn’t really see what could be changed otherwise,” says the economist. “It is hard to validate Butkevičius because both Kubilius and their party criticised during this election campaign that Butkevičius rested on his laurels after the 2012 election. There are economic cycles and the Butkevičius government was in place specifically during an economic boom. In this case it is no good that they made no tax reform. While debt did not rise, the Butkevičius government maintained a deficit budget. What is particularly bad is that no reform was undertaken specifically regarding taxation. This whole period, despite the economy recovering and growing, the state’s income remained very low. Under Butkevičius inequality rose greatly and has now reached a point where it has nowhere to expand to,” stated Lazutka. He backs his statements up with statistics. From 2011, still prior to Algirdas Butkevičius leading the government, up to 2015 the top 20% citizens in income raised their incomes by an average of 500 euro. Meanwhile the incomes of the bottom 20% in income did not change. The adoption of the euro, something touted as the most significant achievement of the government was simply a technicality. Romas Lazutka identifies rising emigration, poverty and rising inequality as “achievements” of the Butkevičius government. 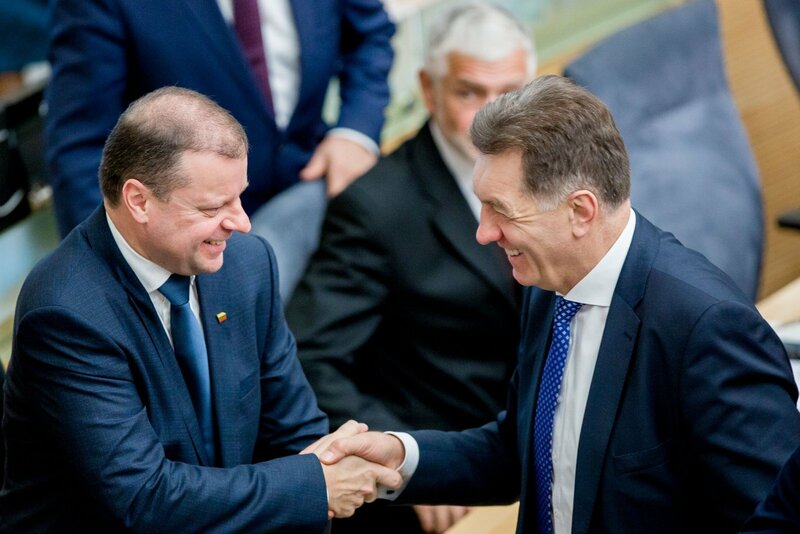 The new Prime Minister Saulius Skvernelis states that social and economic inequality will be significantly decreased, but economist Romas Lazutka is unwilling to hazard a guess. “Based on Skvernelis and the whole majority’s rhetoric, it would appear that the government will take to work seriously, but based on its programme there are only very modest discussions of taxation and state finance. If there are no external changes, great impacts on the Lithuanian economy, the economy will continue to gradually grow. But what of it growing, the rich will get richer, while the lower stratum will be impoverished. We will once again have great emigration and dissatisfaction. From the cabinet of ministers it appears that they are not affiliated with parties and will earnestly strive to make improvements. The programme contains many aims, but lacks specific means. Nevertheless, there is a worry that the government will be content with a more or less growing economy and somehow getting nothing done,” says the economist. Political scientist, Dean of the VMU Social Sciences faculty Algis Krupavičius states that since the 2008-2012 term of Andrius Kubilius and his Conservative cabinet, society still remains indignant to this day. “As its main highway, the Kubilius government chose an austerity programme “save, save and once again save”. Unfortunately the highway of austerity was not overly effective and incomes and standard of life for people dramatically plummeted. Another thing, practically immediately after forming its cabinet of ministers, it lost the trust of society and was unable to regain it through four years of work. The economic and finance policy chosen was viewed particularly negatively by the public. Not only did they fail to regain a modicum of reputation over four years, but the loss in these elections is a result of that policy and most people still turn away from the Conservatives and their decisions,” states A. Krupavičius. Fearing the Conservatives and their decisions, in 2012 the public gave a chance for the Social Democrat headed government, but according to Krupavičius, PM Butkevičius also failed to reduce social stratification. “Butkevičius completely failed to reduce social stratification. What is more, despite economic growth, this issue continued to deepen. Under a leftist party, during a period of economic growth, but still seeing social inequality rise, this sort of situation is more than just a misunderstanding,” states the political scientist. Other major mistakes of this government identified by the political scientist is the particularly short period of price observance after adopting the euro and a Labour Code completely not in adherence to leftist values. The scientist was also unwilling to predict how Saulius Skvernelis will fare. Krupavičius expressed hope that the new government understands that the improvement of public welfare is the main guidepost for this cabinet of ministers. “The situation left after the Butkevičius government is not overly dramatic. Yes, the trends are poor, high social inequality, low incomes, uncompetitive wages, high emigration, definitely a poorer legacy than the one inherited by the Butkevičius government from that of Kubilius. What is most important is raising welfare. Does the Skvernelis government understand that this is the main problem? I believe the answer is yes. The question is open. But their responses are even contradictory. If welfare rises, if average incomes rise, if more equality, social and economic, appears, then emigration will decrease on its own,” says the political scientist.